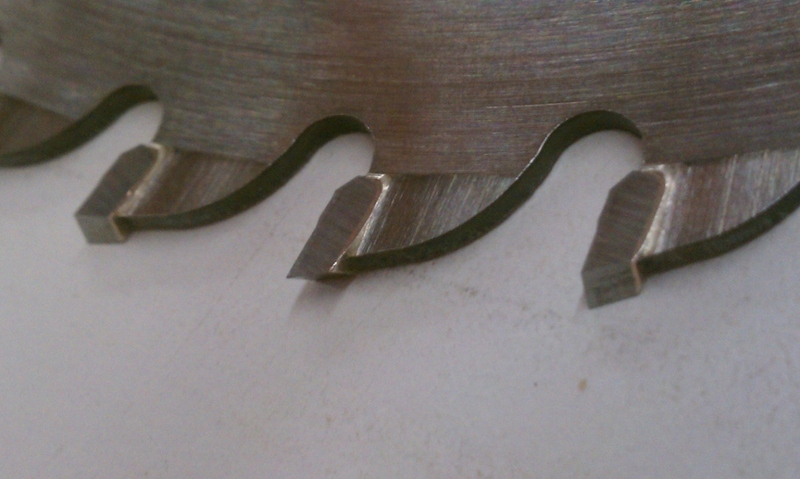 One of the most dangerous things a woodworker can do is to use a dull blade. 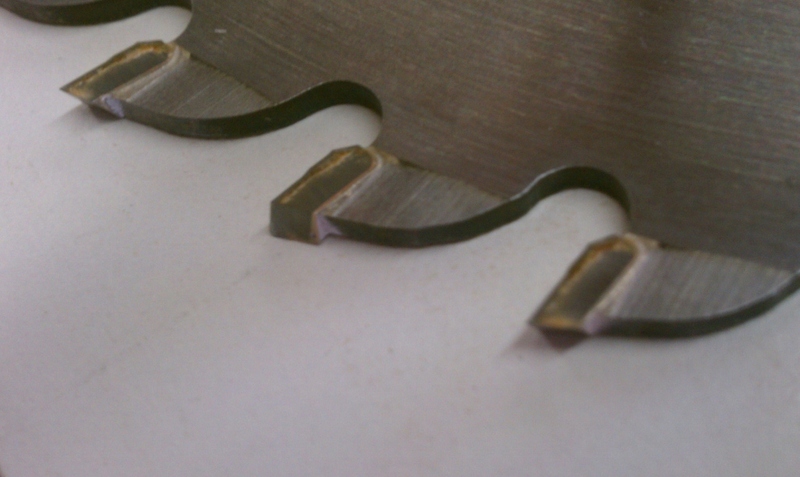 It can be a table saw blade, a miter saw blade, circular saw blade, or basically any of the whirling blades that we as woodworkers regularly use. One thing that you probably do not realize is that most of the time that you think your blade is getting dull, it is not. It’s dirty. Wood resins, glues from plywood, and who knows what else builds up on the sides of the teeth of your saw blades. 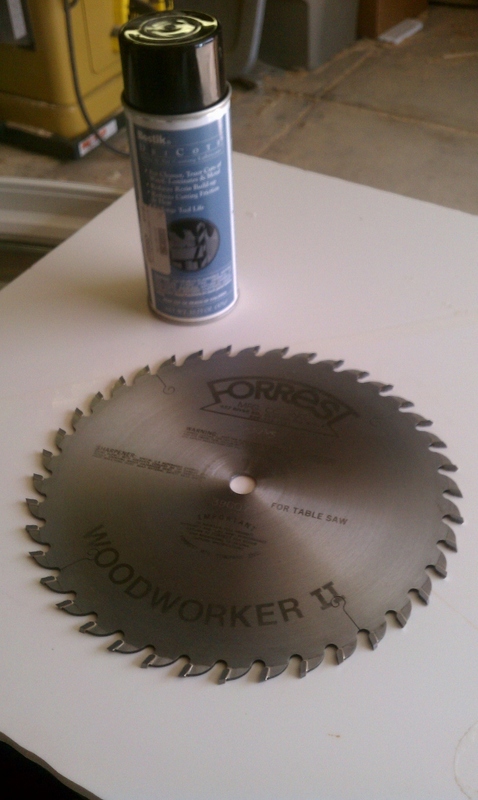 My dirty table saw blade. It is a Forrest Woodworker II. 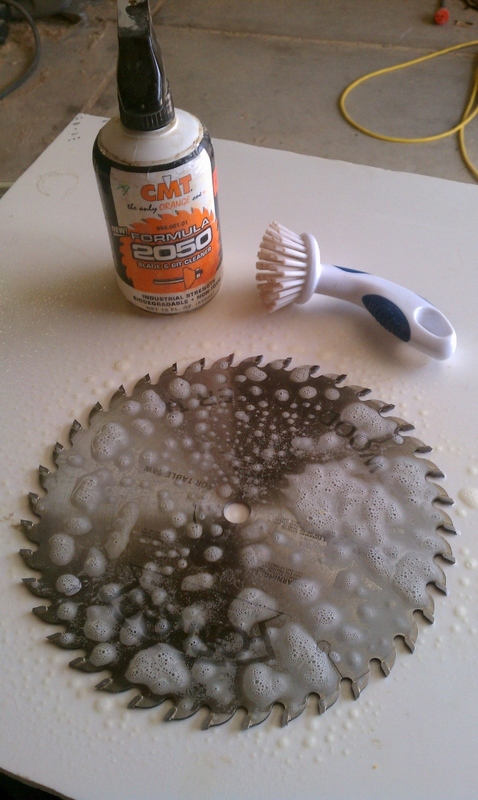 This method is safe for cleaning most saw blades. Do you see the tremendous build up of gook and muck on the side of those teeth? Do like your mom told you! Brush your teeth! I prefer CMT Blade cleaner. I’ve been using it for years. I buy it by the gallon and fill up these little spray bottles. The plastic brush is from Walmart. I think it is supposed to be a dish brush. You can use your old tooth brush as well, but I like the longer bristles to get into all of the nooks and crannys. After I give it a good cleaning on both sides, I rinse it completely with hot water in my shop sink. Metal blade! Water! Yes, rinse it off and dry it with one of your old towels. After that, I immediately blow off all of the remaining water with the air hose. This gets all of the moisture off of the blade, and the hot water makes that happen even quicker. When the blade is completely dry and squeaky clean, I like to use DriCote by Bostik. It really keeps the gunk build up to a minimum. Well, there you go. Clean and ready to go.